Last Friday, we celebrated International Women’s Day with an afternoon of talks and panel discussions, followed by a structured networking session. 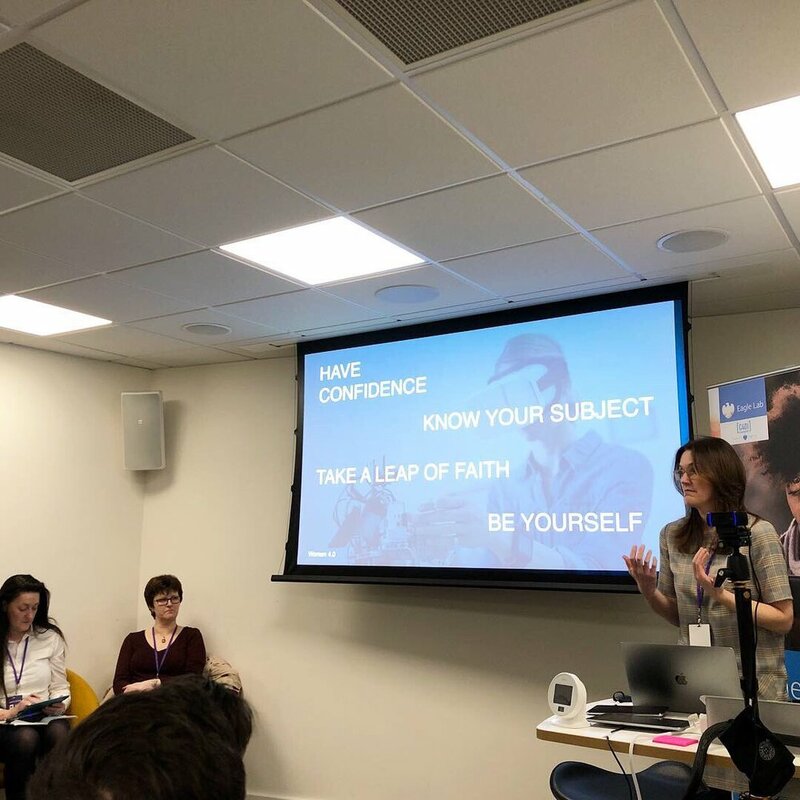 This was the first event of Women 4.0 in Hull, which has been set up by Claire Clark Director of Development at C4DI-based company Sauce and Barclays Eagle Lab’s Sharon Jones. - Claire Clark CEng, BSc Hons, MIET, MBCS, Director of Development at Sauce. Dr Elaine Lancaster, Chief Technical Officer for Groupe Atlantic and President of the Energy Utilities Alliance (EUA) was our main speaker for the day. As she guided us through her vibrant career, Elaine described how she had graduated with a PhD in Metallurgy and Materials Science and spent the first five years of her career in Technical and Marketing roles at British Steel. It was here she became interested in the development of new products. For the past two decades, she has worked in the HVAC (Heating, Ventilation and Air Conditioning) industry, leading a wide range of teams for companies including Ideal Boilers, Vaillant Group and BDR Thermea. Elaine then joined the rest of the speaker's panel, made up of Claire, Sharon and Chair of WiME Dr Kirsty Clode. Here, they each answered a set of questions about their respective careers, from best career advice to things they would have done differently. “This event highlighted to me the power of storytelling to inspire others. It has inspired me not to be afraid and to take a leap in pursuing my own career goals.” - Helen Gill, MCIM, Digital Marketing & Communications Specialist at Ansell Chemical SBU. Dr Elaine Lancaster BA(Hons) Oxon MSc PhD, Chief Technical Officer for Groupe Atlantic. The rest of the afternoon was dedicated to a networking session that followed the World Cafe structure. This gave everyone at the event a chance to meet and discuss important topics with each of the other attendees. If you missed out on a ticket to this event, don’t worry. You can watch the full event in the video below. As part of the event, we raised £145 for our #DoItForJosh campaign. One of our members, Dr Josh Barnfather is currently facing a rare cancer of the inner lining of his blood vessels - angiosarcoma. The C4DI community is raising much-needed funds for his life-extending treatment. We’d just like to say a huge thank you to all the Women 4.0 attendees who donated. For further regarding Women 4.0 please contact Women 4.0 Lead Claire Clark via LinkedIn and Twitter. Alternatively, you can contact David Summerbell, Ecosystem Manager at Hull Eagle Lab david.summerbell@barclays.com. Meanwhile, follow and use the hashtag #WomenInIndustryHull to see snaps and quotes from the day. Older PostHealth Tech Elevensies To Welcome The British Heart Foundation, YHAHSN and colleagues from NHS.